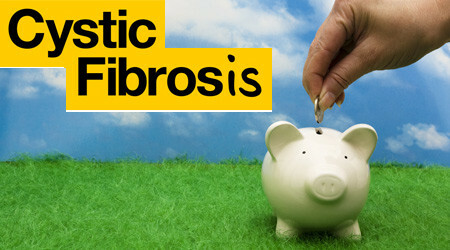 With Cystic Fibrosis week starting on Monday 24th of June it seems like a good time to draw attention to the ‘My Charities‘ page. While many of you might assume, as did the drunk girl I used to work with who I bumped into on Carlisle station, that the ample medication in my possession was to do with mental problems rather than physical (I’m hoping it was my healthy good looks that threw her, not my awful chat) it is in truth that I suffer from Cystic Fibrosis. I should point out also that when I denied taking antipsychotics her next guess was to point vaguely at my crotch, really a lovely girl. Cystic fibrosis is an inherited genetic disorder characterised by problems with sodium chloride movement within the body. Complications are caused by a faulty protein which can lead to most often and most critically problems of lungs prone to infection. C.F can, amongst other things, also cause problems to the liver, intestine and pancreas. As well as this it makes you the guy in the gym that nobody wants to be downwind of. The plus side is you’re easy to find in a crowd, you just sort of head towards the person with a persistent cough. There are some truly great organisations out there doing work to tackle the condition and assist those who suffer from it. Firstly the CF Trust which can be found here, the only UK wide charity to deal with C.F. Established in 1964, it is dedicated to promoting excellence in research and clinical care, as well as providing practical support and advice to people with cystic fibrosis and their families. They are making great progress on research into the condition and its treatments and any support they can get is most welcome. Secondly the Butterfly Trust, found here, who are a Scottish charity who aim to provide face-to-face support to people affected by Cystic Fibrosis throughout Scotland. From a personal point of view they provide access to stress relief massages at hospital appointments of which I’m more than pleased to take advantage of. The downside is that with all the med’s I was on previously I was practically menopausal with hot flushes at times. Nobody likes to be the guy getting up from the massage table to find the protective paper plastered with sweat to his body. On the bright side I got a massage and the very generous volunteer got a sweaty nightmare to haunt his dreams, so win win for both us really. Both these organisations are a massive support to the C.F community and in return deserve our support too. ‘My Charities’ page will be something I keep ongoing as I maintain my blog, but what better day to bring attention to it than as we approach C.F week. So if you’re not too traumatised by the visceral descriptions of my body coated in sweat, and really after having spent time training in a Thai boxing gym doing sit ups in pools of other people’s sweat I do feel I’m somewhat desensitised to this kind of thing, then please offer your support. With my own writing initially being motivated by an enforced downtime brought on by C.F I’ve included a sponsored incentive and opportunity to anyone who feels particularly generous. It seemed fitting that I can try to provide some of my own thanks in a medium inspired by the condition.